Today: Rainy morning, mostly cloudy afternoon, highs near 60. Overnight: Mostly clear, patchy fog. Low in the 50s, 40s north. Tomorrow: Mostly sunny south, partly cloudy north, highs near 70. Confidence is growing that the area will see a locally heavy rain during this morning and into early Friday afternoon. The placement of the heaviest axis of rain is still to be determined. Unfortunately, we saw flash flooding in some areas Wednesday night, so you can expect at the very least, pockets of flash flooding. 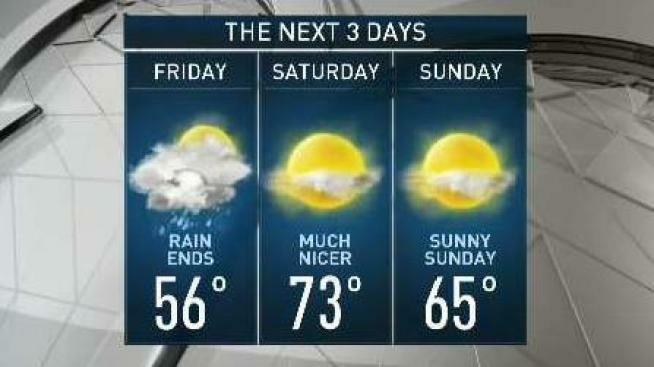 We’re still expecting a very nice weekend. Both days will feature a mixture of sun and clouds. High temperatures will range from the mid 60s to the low 70s. Overnights will be quite cool with a frost or freeze likely in northern New England. Next week, another warm front will try to push in from the south. If the front is able to lift to our north, temperatures will be warm and humidity levels will be high. If the front stays to our south, it will be cloudy and cooler. Regardless of where the warm front sets up, it’s likely that we will see additional rain with the possibility of flooding. Another cold front may trigger additional showers or thunderstorms at the end of next week. It’s still too early to discuss the exact details of that forecast.